As part of a considerable undertaking to improve the electric system in Indiana, the Reynolds Topeka Line—a 100-mile electric transmission line from Reynolds to Burr Oak to Topeka began in June 2016. The restoration included installation of construction roads needed to access the right-of-way (ROW), delivery of equipment and materials, excavating for foundations or direct embedded structures and concrete work for the transmission line utility poles, the erection of these transmission poles, and the stringing of the new electrical wires. Once complete, this improved electric system will provide access to renewable energy sources as well as create jobs, enhance electrical system grid reliability, offer environmental benefits and improve access to lower cost electricity for customers and surrounding communities. The Reynolds Topeka Electric System Improvement Project is one of 17 other similar projects – lead by the Midcontinent Independent System Operator (MISO) occurring across the Midwest. Given the extent of the improvements, several caissons (vertical shafts) were needed to stabilize and erect the utility poles along the way. Rather than haul in several hundred truckloads of pipe that would be required, the contractor on the project, CJ Drilling, reached out to Contech Engineered Solutions to see if there was an alternate solution that might save them substantial time and money. Fortunately, Contech had just the right solution. Utilizing the MOBILE PIPE® mill to manufacture the pipe needed, over 700,000 pounds of steel, CJ Drilling was able to avoid the challenge of freighting and unloading any truckloads of pipe. 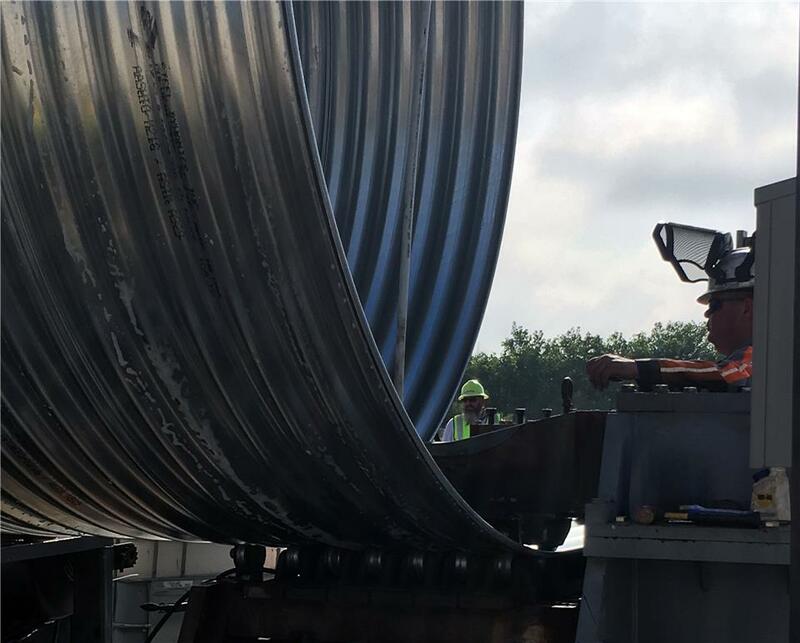 A dedicated Contech crew travels with the MOBILE PIPE® mill to ensure that the mill is properly set up and efficient manufactures quality pipe for every job. 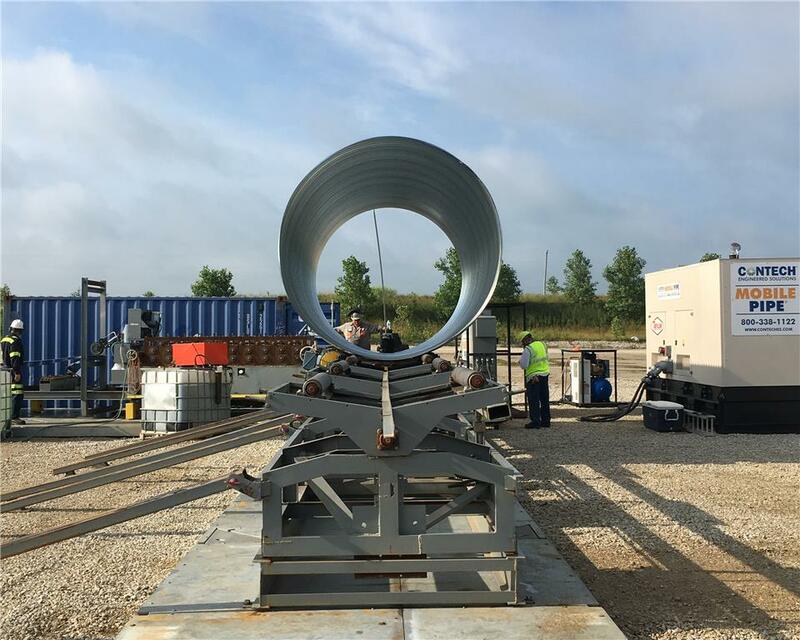 They arrived to the site and set up the mobile manufacturing mill on site and produced over 4,400 LF of 12 GA, 5x1 HEL-COR® corrugated steel pipe with diameters ranging from 92-in. to 116-in. in only a week.